A prepayment or prepaid meter allows you to pay for your gas and electricity in advance using a key or a card. You may be given a prepayment meter if you have existing debt with your energy company and they want you to pay back the debt. You may also be given one if you fail a credit check or don’t have a good enough credit record to get an ordinary meter. Electricity prepayment meters are usually installed inside the property, gas meters can be found inside or outside the property. A prepayment meter will have a place to insert a key or card which tops up the meter with credit. If you have a smart prepayment meter, you may be able to top up online or through an app. Your landlord or letting agent gives you the top up card or keys when you move in. If you don’t get one, phone your supplier. Call the energy supplier to let them know you are a new tenant. They will update their records and make sure that you are on the correct rate. Contact the energy supplier if there is debt left on the meter from a previous tenant. They will issue you with a new key and start your new account. Your utility company might force you to have a prepayment meter installed as a way of paying back debt if you owe them money or have trouble budgeting. They program the meter to deduct a portion of your credit when you top up, to pay off the debt. You can refuse to have a prepayment meter installed if you can show it wouldn’t be safe or practical for you to have one. For example, if you have a disability and the prepayment meter would be difficult to reach or if there are no shops to top up the meter near your home. If you don’t have a good reason and you refuse to allow the supplier to install the meter, they can get a warrant to enter your home and install a meter. They can charge you up to £150 to do this. Contact your supplier for a new card if you lose yours. 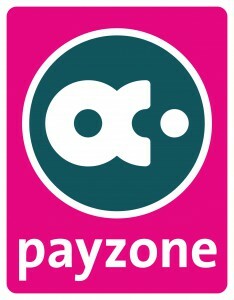 They activate a temporary key or card which you can pick up from a local Pay Point, Pay Zone or Post Office. Energy providers issue a replacement card or key free of charge. They may charge if you lose it a second time. Emergency credit allows you time to top up your key or card. It is either activated automatically or you must manually activate it when you run out of credit. The amount of emergency credit differs between suppliers but usually lasts for at least a day, giving you time to recharge your key. You pay the emergency credit off the next time you top up. Prepayment meters are normally more expensive than standard credit meters. You have the right to switch supplier if you owe less than £500 to your current supplier. You need to get the landlord’s permission to have a prepayment meter removed. You may have to pay for the meter to be reinstalled at the end of your tenancy, if the landlord wants the property to be returned in the state that you moved in to it.